This historic action marks the beginning of Saving Iceland. DON’T LET THE SUN GO DOWN ON ICELAND! 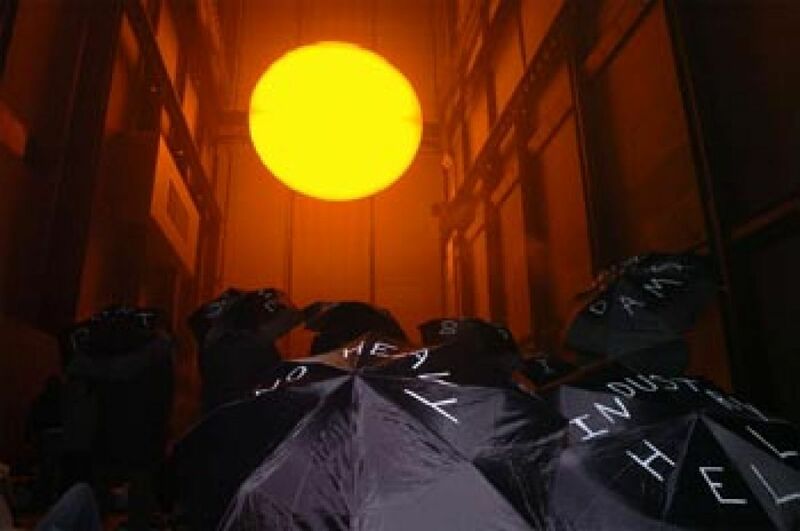 This was the message demonstrators at Tate Modern wanted to get across as Icelandic artist Olafur Eliasson’s hugely successful ‘Weather Project’ exhibition – featuring a giant sun – came to an end. The 25 demonstrators staged an “umbrella protest” against the ALCOA dam currently under construction in the Icelandic highlands which will see vast swathes of Europe’s last remaining wilderness flooded in 2006. The Icelandic government recently announced further plans for similar projects which, protesters say, will spoil much of Iceland’s world-famous pristine nature.